I’m currently in Australia for a four-city speaking tour arranged by the Institute of Public Affairs – and I’ve brought along a few gifts. 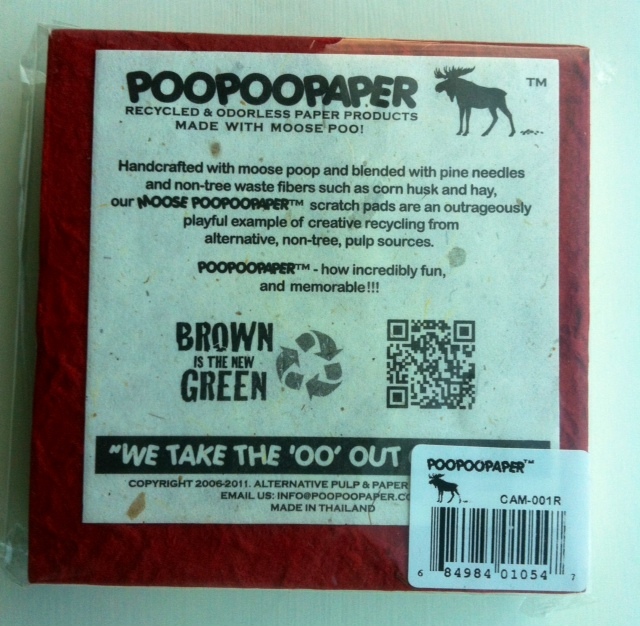 At each of the public talks – in Melbourne, Sydney, Brisbane, and Perth – two lucky audience members will take home the most absurd “green” product I’ve ever encountered – note paper made from moose dung. 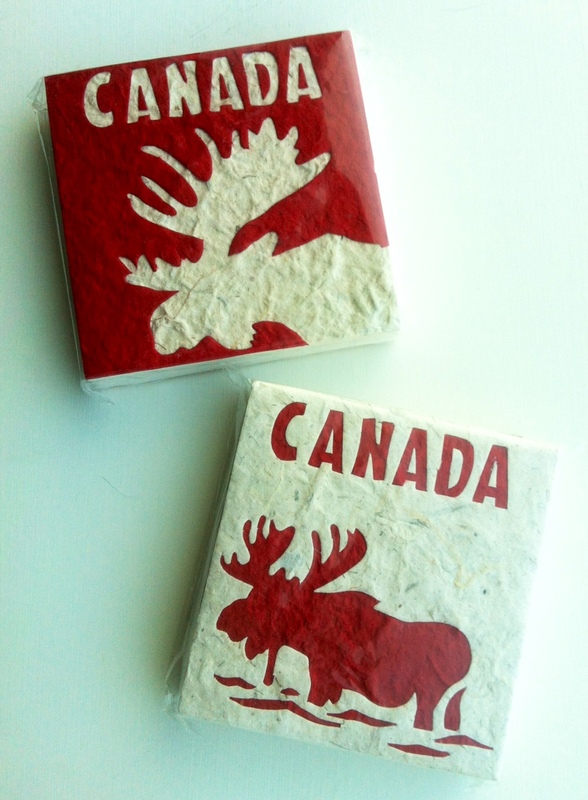 A male moose can weigh up to 700 kilograms (1,500 pounds) and, according to Canadian Geographic, “stands taller at the shoulder than the largest saddle horse.” One hopes, therefore, that prior to taking the job prospective dung collectors inquire as to whether they’re covered by the injured Worker’s Compensation program. After being harvested, the dung is shipped all the way to Thailand where it is mixed with “pine needles and non-tree waste fibers such as corn husk and hay” and then shipped back to Canada. A few seats are still available at my Australian events. Full details here. This entry was posted on July 4, 2012 by Donna Laframboise in Uncategorized.